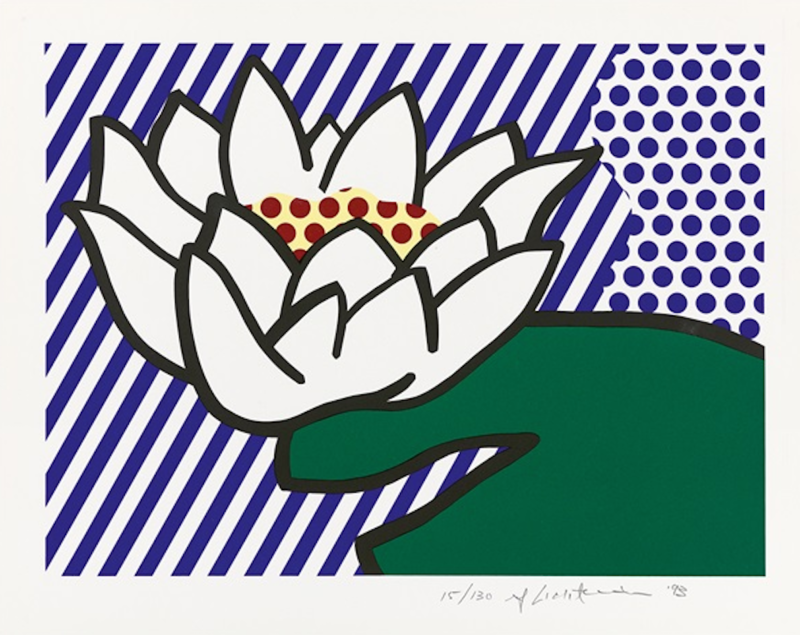 Water Lily was created to benefit the campaign of Los Angeles city councilman Joel Wachs. Lichtenstein integrates the readymade quality of screen prints and a painterly gesture with the use of thick lines, flat surface planes, and obscured perspective. The horizontal lines and Lichtenstein’s signature dots provide a tension between the painter’s hand and mechanical reproduction.